You have probably heard of the research conducted by the US Forest Service that has led to quantifiable values for the services provided by street and landscape trees. 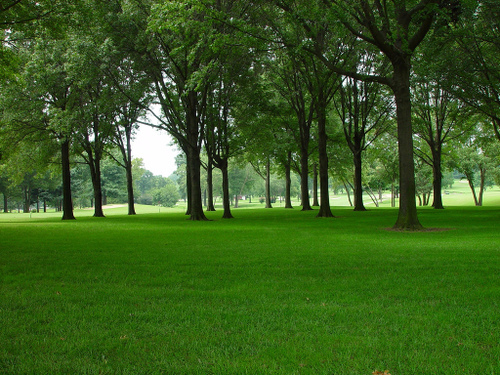 Now you can visit Arbor Day Foundation National Tree Benefit Calculator and easily determine the dollar value of the economic and environmental benefits provided by any tree in your yard. At this new site, simply enter your zip code. This makes sure that the subsequent calculations are geared to climate factors in your area. Next, you find your tree on a dropdown list of 70 species or genera. If your tree is not on the list, there are ‘other’ categories based on tree characteristics from which to select. You then add the diameter of your tree and kind of property (residential, commercial or even a park) and the calculator does the rest. The results show the overall annual contribution of your tree – in dollars! There is also a pie chart breaking this amount into the various services provided – stormwater retention, energy savings, air quality improvement, carbon dioxide sequestration, and property value enhancement. Tabs take you to any of these values for further explanation. Try this today! It is quick, easy and very educational!